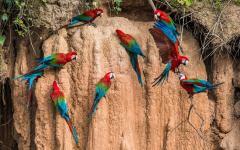 Prepare to experience unforgettable Peru on this unique tour tailored to show you the past, the present, and the natural magic of the country, from the mystical hidden temple of the pre-Columbian Pachacama that hides in the desert hills to the fantastic swinging bridges of the Amazon canopy. 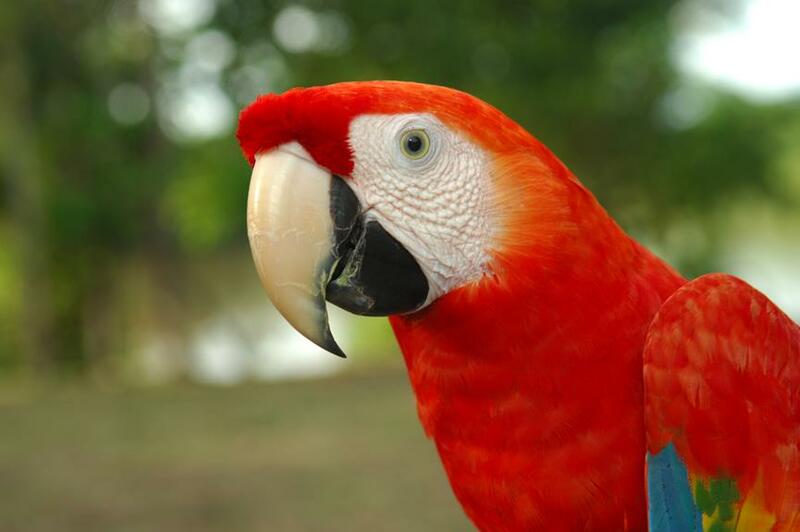 Venture through the lush rainforest where colorful macaws sing, journey through the arid desert just outside of the capital city, cruise along the secluded Amazon river because its there, because you can, because you want to, and because it’s much too good to pass up. 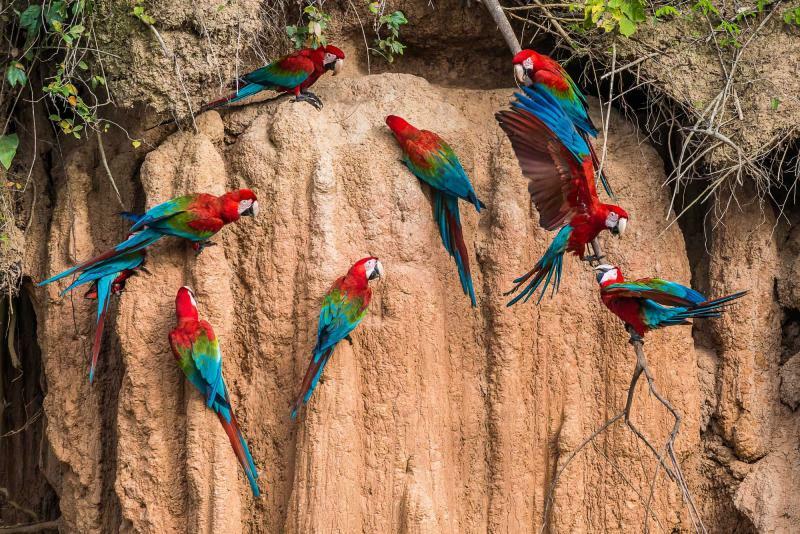 This 6-day tour through Peru is meant for anyone who ever dreamt of being Indiana Jones, an amateur archeologist, a famous ornithologist, a rainforest explorer, a high-flying rope bridge runner, or anyone ever interested visiting the Amazon because it just sounded cool. 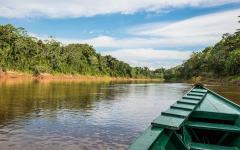 Get ready to uncover pre-Columbian temples and to safari along the Amazon River. Step into the rainforest canopy and witness the opulence of the once prestigious rubber barons. From a jungle cruise to a desert cruiser, uncover the world you love. Begin to uncover the wonders of Peru with your arrival in Lima, the capital city. The metropolis sprawls along the landscape nestled between the sea and the desert, the desert and the mountains, and absorbing the best of every world. The adobe pyramid of Huaca Pucllana stands against the trendy seaside neighborhood of Miraflores with the rising towers of modern Lima in the background. 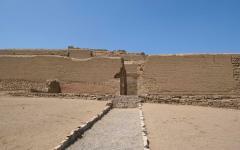 Outside of the city stands the pre-Columbian temple of Pachacama where the ruins almost blend in with the desert hills. Traverse the remains of history and find the structures still standing, the bricks barely hanging on. 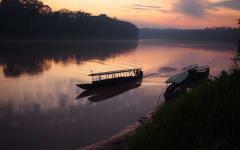 Transfer to Iquitos where your Amazonian journey begins. 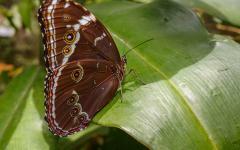 The opulent facades of the Victorian architecture bring with them images of tea drinkers and cocktail sippers within the heavy blanket of rainforest air. Climb aboard your river cruiser and venture along the waters of the Amazon, stopping at the Amazon National Park where a local shaman will bless your journey, because every journey should be blessed. Climb through the canopy on a series of rope bridges that make you feel like a Capuchin monkey, traversing the branches and watching birds shake their tail feathers. 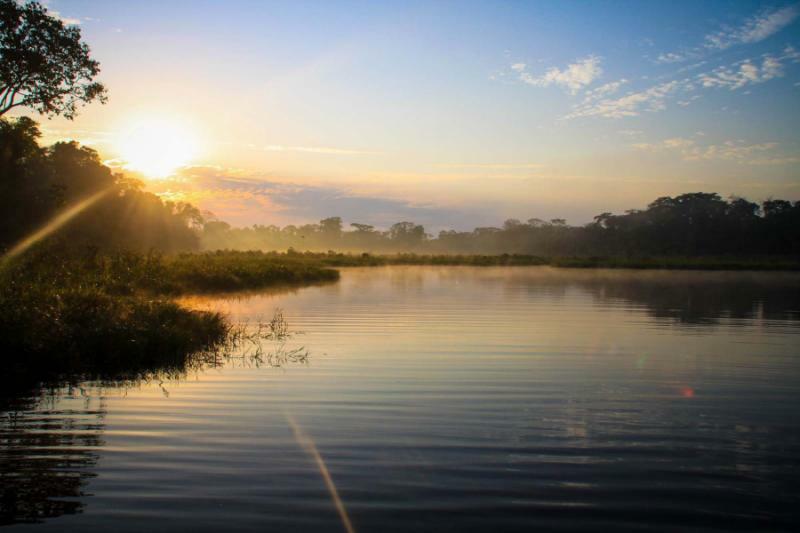 Safari through the waters of the Pacaya Samiria National Reserve where toucans flutter, macaws shine, and where you may even see the jovial face of a Pink dolphin. 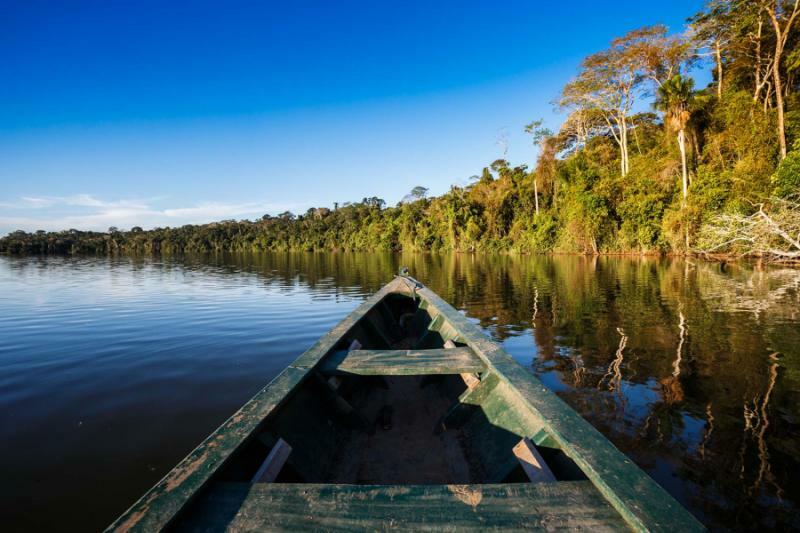 Your venture into the jungle ready to explore the forgotten and revitalize the unforgettable, shows you why trips to Peru are so memorable and why you will be back! 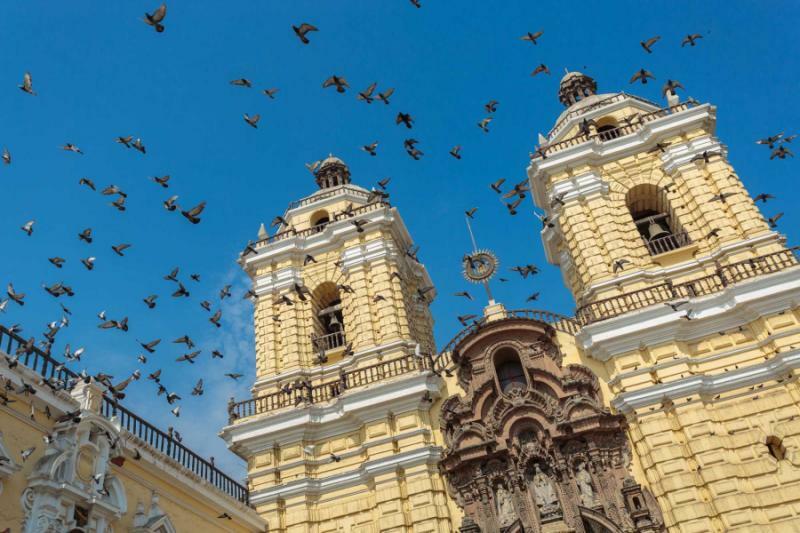 The Peruvian capital of Lima stands against the beachside and is filled with archaeological marvels and modern luxuries. The Plaza de Armas is encircled by Spanish colonial architecture that fills the city with opulence. The trickle of the clover-shaped fountain mixes with the bustling of the square. The Archbishop’s Palace is a brick building with protruding, rich wooden balconies that lines a portion of the plaza. The façade is ornate in detail with a deeply red door adorned with metal outcrops. The windows at street level look like protective plates stamped with a coat of arms, giving the square a medieval ambiance within the modern world. Stroll along the seaside listening to the sounds of the crashing waves, while the air is perfumed with zesty lemon citrus from the cevicherias of the city. 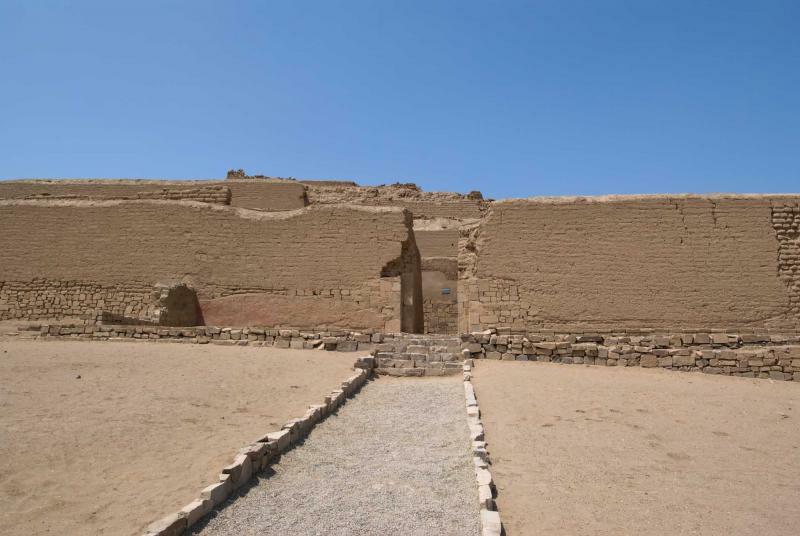 Lima’s historical significance is not just showcased within its repurposing of Spanish buildings but also in the ruins of Huaca Pucllana, an adobe pyramid that sits within the trendy neighborhood of Miraflores. The bricks stack and wind, climbing into the sky looking as if MC Escher created a 3D version of a painting using Legos. Within the confines of the pyramid you can find the recreation of ritual offerings amongst the seven staggered platforms. Night falls on the city and the pyramid glows in the spotlight like a second moon reminding you of the wonders to come. The morning stretches over Lima and brings with it a new adventure. 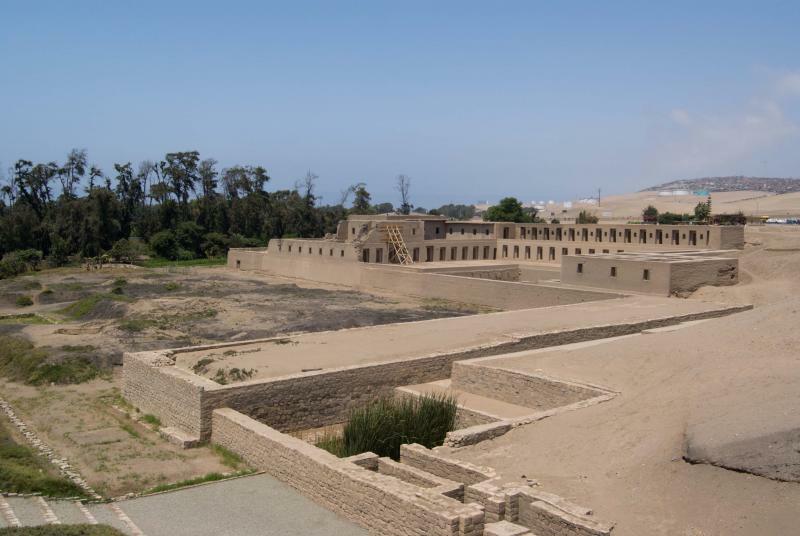 Venture out of the city and into the sprawling valley of the Lurin River to see the ruins of Pachacamac. In the barren sand of the valley you can’t see the ruins in the distance, but the closer you come to the pyramid the more you realize that the hill you had thought you saw in the distance was the ruins. The site was built to commemorate the god Pacha Kamaq, and where thousands of pilgrims would converge to pay tribute to the oracle, said to see the past and future fate of all people. The air is scented with dry earth with sporadic spritzes of the ocean breeze rolling through the ruins. The ruins descend partly into the ground, with open windows and doors tiered over an open square in the Recinto do Mamaconas, essentially a convent for nuns of the temple that served the priests. 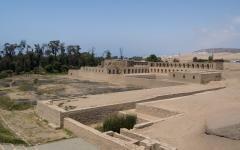 Explore the Pachacamac above and below the ground. Continue your archaeological adventure with lunch at La Casa de Don Cucho, a decadent hacienda that was transformed into a rustic restaurant specializing in Peruvian cuisine. Luxuriate beneath the cool shade of the overhangs where the sprawling hacienda blends with a homey comfort; the zip and zest of ceviche dances on your taste buds. In the evening you will enjoy a floorshow at Brisas del Titicaca where the pan flute begins to whistle through the room, the musk of roasted corn and rotisserie chicken wafts through the air, and the traditional vibrant skirts twirl along the dance floor, giving you more than just a hidden ruin but also the very lively culture of Peru. 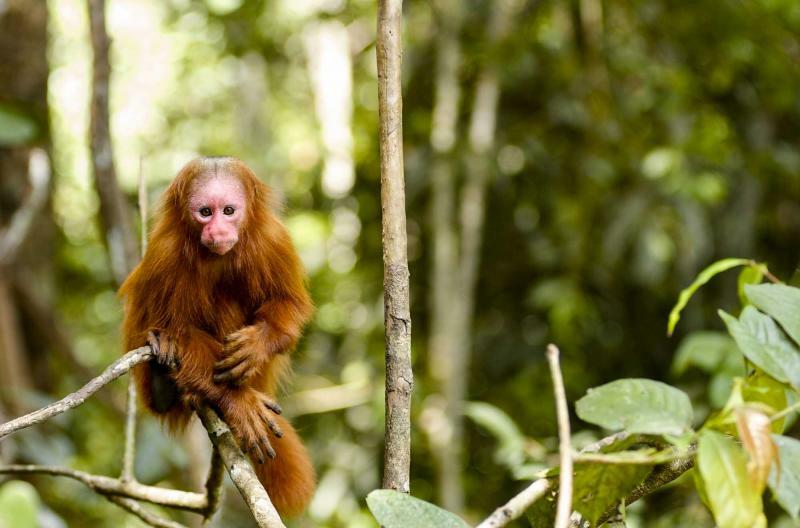 Today you will leave behind the archaeological sights around Lima and venture into the Amazon where the natural wonders surround the manmade structures of the secluded jungle city of Iquitos. 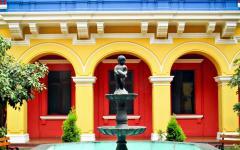 Arrive in Iquitos where the edifice of a decadent 19th century past continues to sit along the riverbanks. The sweet aroma of sugarcane juice fills the streets while the river rushes along the edges of the city. 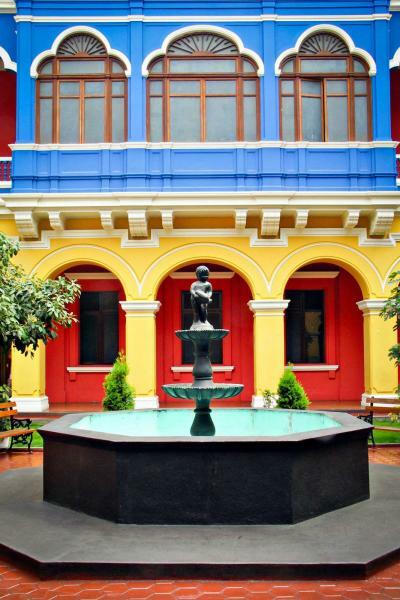 Tour the city and envision the colonial buildings in their heyday, where the opulent facades were canvased in white, the balconies crowded with rubber barons sipping tea in the jungle heat while watching the city pass below them. La Casa de Fierro, or the Iron House, was designed by Gustave Eiffel, the renowned French architect known for the Eiffel Tower. 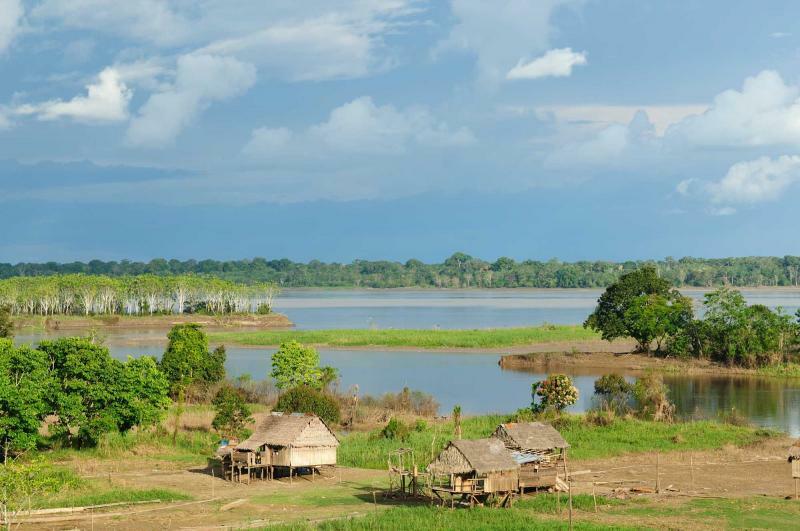 Your tour of the city continues and eventually brings you to the shores of the Amazon River where the dense, lush trees block the horizon in the distance. 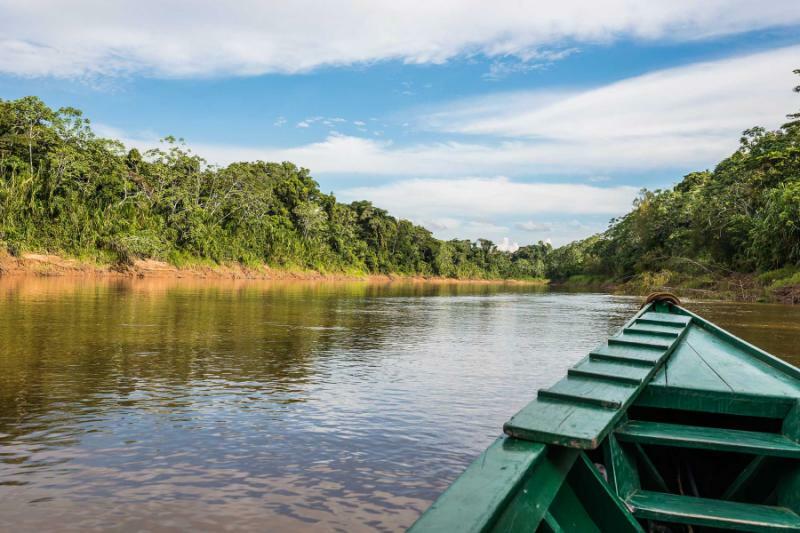 Climb aboard your river cruiser named La Esmeralda and ready yourself for an Amazon safari, where, like an archaeologist, you can uncover unknown worlds within the stunning jungle landscape. 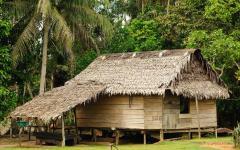 The Amazon jungle is rich with culture and is different from the sights and sounds you have experienced before. The river is wide and deep. 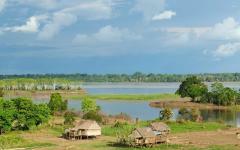 Local villagers paddle their canoes or speed along the water with motor, the buzz fading into the distance. The call of birds hangs over the canopy, their wings flapping in the sun. Smoke rises over the tree line where locals cook or clear space for crops. 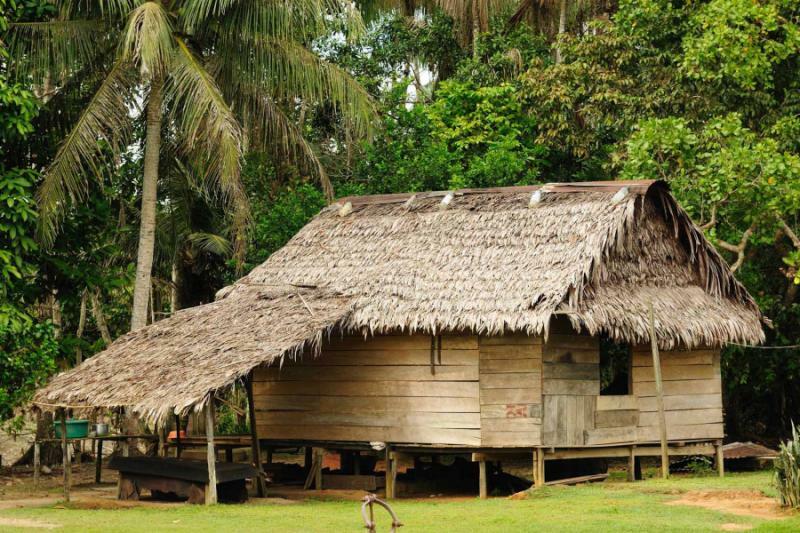 Venture onto the shores of jungle and be greeted by a Jibaro-Ashul shaman that lives within the parameters of the Amazon National Park. His colorful necklaces hang low grazing his chest, with vibrant beads and teeth. His hat is colorfully feathered and wraps around his head like a crown. He uses medicinal plants of the Amazon with assistance from the local sprits of the flora and animals, giving natural medicine to people of the jungle. He leads you in a good luck ceremony meant to protect you and the unique, secluded wonders of the wild. Continue your exploration of the jungle within the trees by traversing the stunning canopy along an expansive trail of hanging bridges. Sloths blend into the tree bark, slowly reaching for a branch or leaves. The bridges sway with every step you take, the ropes coarse and strong in your hands. The birds chirp louder and you feel closer, almost as if you could reach their nests from the bridge trail. The scent of the trees is fragrant, the colors are as bright as partial rainbows, and your exploration of the jungle is wondrous. 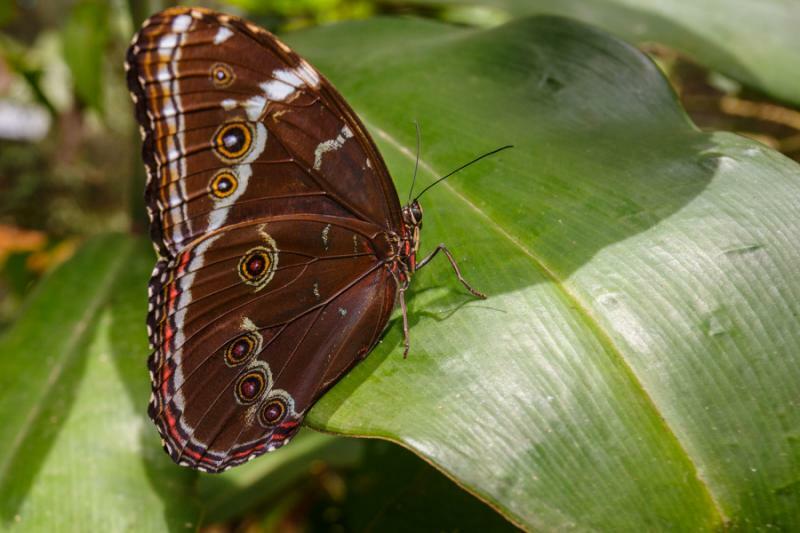 Cruise through the Pacaya Samiria National Reserve where the grand biodiversity of the region allows for a berth of birds, mammals, reptiles, amphibians, fish, and plant life. The floral air of the reserve drifts along the gentle rush of the river. Leaves sway in the light breeze. You feel the gentle brush of the wind in your hair and against your cheeks. Toucans soar along the river, their long, yellow beaks streaked with red, while a deep blue wraps thinly around their eyes. You can see the capybaras slide into the water from the riverbanks. They look like a large hamster, with teddy bear ears; their fur is slick in the water as they paddle through the river to keep cool. 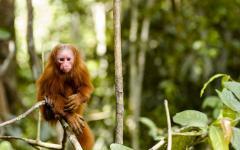 The playful calls of capuchin monkeys fly through the canopy. You can see their dangling tails and black and white fur among the leaves. 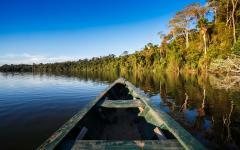 A canoe drifts along the water, close to the jungle-clad banks, and you notice the thatched roof that covers the boat giving shade to those aboard. As the boat continues to wind through the water you can see a something floating in the near distance. Its pink color lingers at the surface of the river. 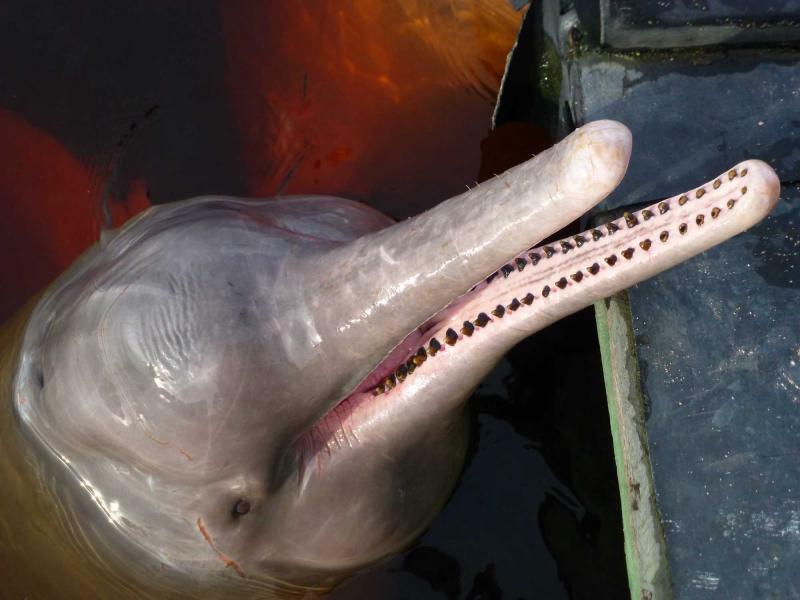 You ask one of the crew what it could be as the animal surfaces, its long beak sticking out of the water, and you discover the endangered Pink dolphin. 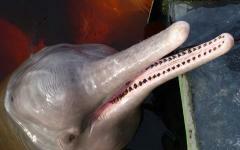 The friendly and social dolphins have lived in the Amazon for centuries harmoniously with the local tribes. 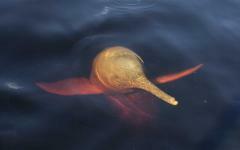 Its body is long and slick, its attitude jovial and curious. You can almost reach out and touch it. The birds cry out into the jungle air. The boat glides across the water. The dolphin ducks beneath the river and swims away, giving you one last view the magnificent find. 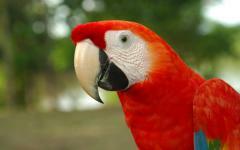 Today you will say farewell to the canopy of the Amazon and the rushing water of the river. You can hear the birds call to you as you board the plane, their song echoing through the sky. The trees disappear beneath the clouds. The memory of dolphins and monkeys, the ruins and the desert spread through your mind like candy. Your time in Peru showed you the breathtaking quality of nature and the ingenuity of humankind, the endurance of imagination and the frailty of beauty. 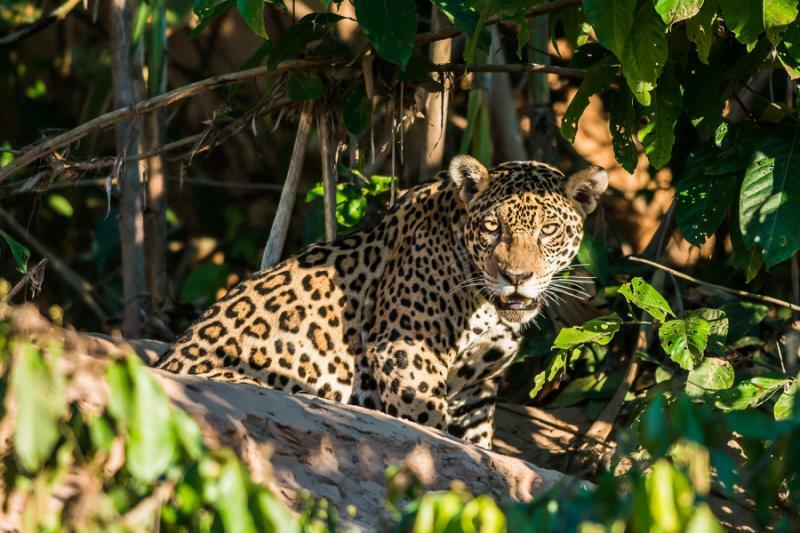 You ventured into the jungle ready to explore the forgotten and revitalize the unforgettable, and you know that Peru will always be on your mind. 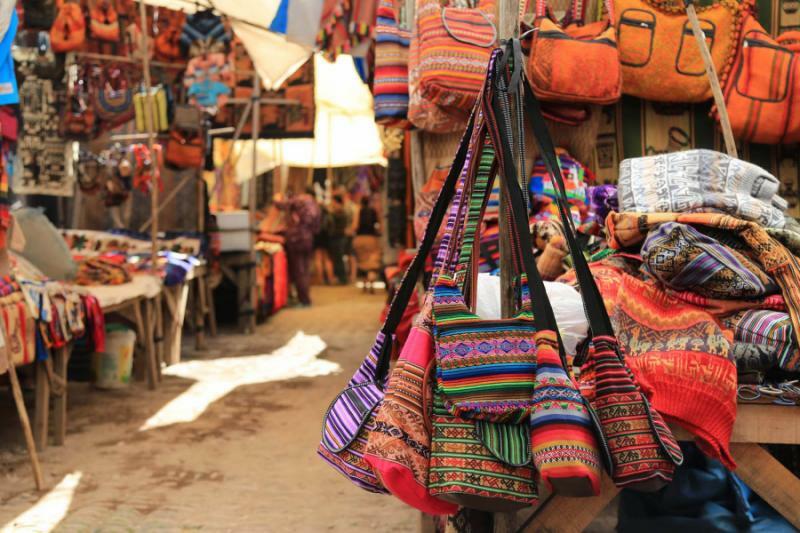 If you want more time in Peru, consider adding on to this trip. 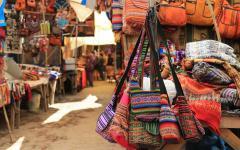 Read the Peru tour reviews for additional ideas of places to visit, and read what other travelers experienced in Peru. "The trip was wonderful and this Argentina travel company was wonderful." "The Argentina travel agent who arranged the trip was wonderful..."
"Excellent, better than expected, great communication and ideas." "This Argentina travel agency is excellent!...We had no worries at all during our travels!" 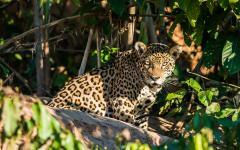 Argentina Tour - Iguazu - Wildlife and Waterfalls!